The Office of Human Resources oversees the employment process for students working at Harvey Mudd College. Students who are seeking jobs on campus can visit the Office of Career Services’ student pages for assistance. Once you have accepted an offer, please notify the department’s administrative staff so that they may submit job information through Workday to the Office of Human Resources to process. For department administrative staff contacts, please email studentpayroll@hmc.edu. Marisela Gonzalez, HR Payroll Coordinator, ensures that students and hourly employees are paid accurately and on time. She also assists departments to facilitate new hire and employment transactions for all Harvey Mudd students. Patrice Siffert, Associate Director for Human Resources, supports the employment process for students from other Claremont Colleges and temporary staff working at Harvey Mudd College. Workday Human Resources Information System allows employees to view and update personal information and access pay and tax information. Kronos Time and Attendance is for reporting work hours. Students and TCC Students may access the employment portal and timekeeping system with their Harvey Mudd credentials. Please note: if you are working at Harvey Mudd College for the first time, you will not have access to Workday or Kronos. Please see the next section “New Hire – Onboarding” for more information. Please feel free to stop by the Office of Human Resources in Kingston Hall throughout the semester if you need help! If you are working for Harvey Mudd College for the first time, you will need to complete employment forms online to be added to payroll. Before you start work, see the department payroll supervisor or administrative staff. The department payroll supervisor or administrative staff member will submit new hire information to HR. You will be onboarded and will receive an email to complete employment forms online. After completing the forms online, present your original I-9 documents in person. Harvey Mudd Students – go to Kingston Hall Room 123 to see Marisela Gonzalez. Non-Harvey Mudd Students – go to Kingston Hall Room 129 to see Patrice Siffert. Once your onboarding file is complete, you will receive an email to confirm that you are on payroll with orientation information. You will then be able to log in, submit timesheets, and use the self-service features listed on this page. Q: Do I need to show you my I-9 document? Can I send you a copy? A: Federal employment regulations require that Form I-9 is completed and original documents have been verified by the employer to establish identity and employment authorization. Please review the list of acceptable documents (PDF). Scanned images and photocopies are not acceptable. If your documents are at home, you will need to have it sent to you immediately. This will delay your start date. Q: What if I don’t complete the I-9 form and show documents? A: If you are not able to present any of the documents to satisfy Form I-9, you are not permitted to work. There are no exceptions to this requirement. Q: I don’t have a social security number. What should I do? A: In order to get hired and paid in Workday, you will need to provide your social security number. If you need to apply for one, please email the HR staff to obtain an employment verification letter before going to the social security office. This will delay your start date. Harvey Mudd Students – email Marisela Gonzalez at studentpayroll@hmc.edu. Non-Harvey Mudd Students – email Patrice Siffert at psiffert@hmc.edu. Kronos Mobile App Job Aid – Kronos offers a mobile app for convenience. It is optional and not required. Please use while connected to Wi-Fi only to avoid incurring data charges. The server name you will need to enter after you download the app is https://timekeeping.claremont.edu/mobile. Keep track of pay periods, pay dates, and deadlines to submit timesheets by downloading this calendar to your computer. 2018 calendar – (Pilot Program) Extended deadline for employees to approve timesheets! Harvey Mudd Students – checks will be distributed to your student mailbox at Platt Campus Center.  Non-Harvey Mudd Students – checks may be picked up in Heather Lindley’s office, Kingston Hall 235. Office hours are Monday – Friday, 8 a.m. to 5 p.m. (closed for lunch from noon to 1 p.m.). If you lost your paycheck, email studentpayroll@hmc.edu to inform us that you’ve lost your check along with the date of issue and amount. There will be a waiting period of five business days during which your lost check is cancelled and a new check will be issued. If you should find the original check anytime after requesting a reissued check, you must forfeit the check to the Office of Human Resources as it is no longer valid. If your paycheck is damaged (ex: ripped, ran through the washer/dryer), we can reissue a new check within 1–2 business days as long as the original check is presented to Human Resources. If you are unable to present the original check, the five-day waiting period will apply. Work hours must be recorded on the actual dates and times worked. Meal period(s) must be recorded onto the timesheet to reflect the start and end times of the meal period. Review the video tutorial (start at 1:32) on how to enter meal periods. Meal period must be taken before the start of the fifth hour (4:59). See HMC Employment Policies section for additional information regarding meal periods. When your timesheet is complete for the pay period, be sure to approve your timesheet. Please refer to the payroll calendar in the above section for deadlines. All employees are expected to submit timesheets on time. Please refer to the payroll calendar for deadlines. If you missed the deadline to submit timesheet(s) or need to report additional hours from a previous pay period, you will need to pick up a paper timesheet in Kingston Hall 123 to fill out and submit to your supervisor who will enter old hours as a historical edit in Kronos. If you have multiple jobs on campus, the combined total of hours worked in a day or week will apply. Please see the Harvey Mudd College Employment Policies section below for more information. In California, overtime is considered when working more than eight hours in a workday, more than 40 hours in a workweek (Saturday through Friday), or seven days consecutively in a workweek. Such occurrences are compensated at one and one-half times his or her regular rate of pay. Harvey Mudd College’s policy is that a nonexempt employee may only work overtime with prior approval from the supervisor, unless the overtime is due to an emergency in which case the employee is expected to notify his/her supervisor as soon as possible after working the overtime.